This ring has 1.30 carats total of diamonds, 0.60 ct of SI2+, G/H + diamonds in the setting with a 0.70 carat cvd sourced diamond center. Currently a size 6.25 and sizable. We pride ourselves on giving our customers a personalized experience at no additional cost. We want you to feel like you're shopping with a trusted friend who just happens to know everything there is to know about jewelry. We want you to come back to us over and over again, and we want you to love it enough to tell your friends to shop with us too! I got my 20th anniversary ring through Sensible Splendor. 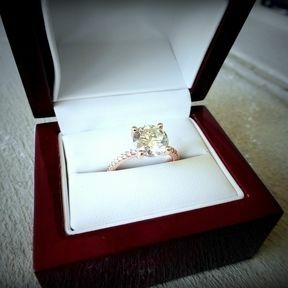 I wanted a BIG diamond and I could never have afforded it through a national jewelry chain. Through Sensible Splendor, I paid significantly less than 1/2 of what I would have for the EXACT same ring at a retail jeweler. Sensible Splendor started out because my two great loves are jewelry and great deals, and it turns out I have an eye for both. 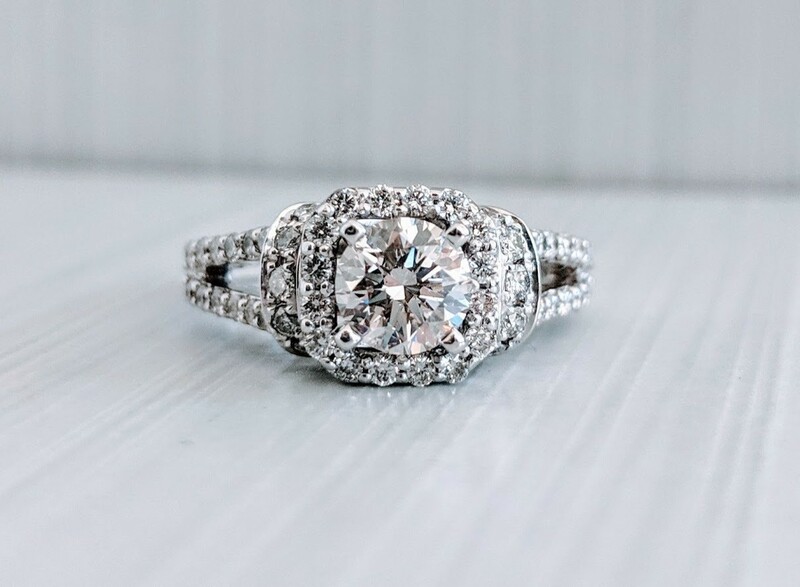 I worked in jewelry for 3 years while I was going to college, and even after I finished my degree, jewelry remained one of my greatest passions. After years of helping my friends and family find the best deals on diamonds and jewelry, they urged me to offer this service to others. And here we are today! 100% customer satisfaction is the only acceptable goal. Tell us what your dream is and we'll make it a reality. 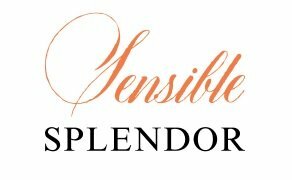 © Sensible Splendor - If you can dream it, we can do it, and we can do it for less!